The relationship between video games and real-world violence is overstated. 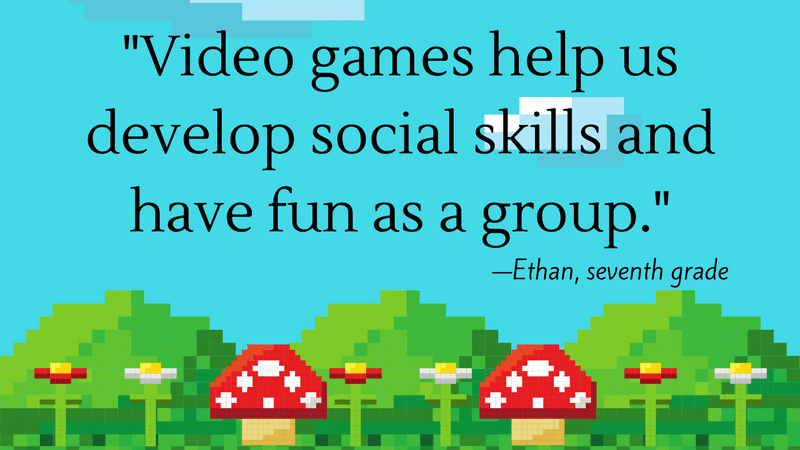 Video games are a big part of your students’ lives. According to the NPD Group, a research firm, 91 percent of American children play video games. Gamers age 13 and over now play an average of seven to eight hours a week. Seventy percent of gamers also watch gaming-related content on YouTube. As educators, it is easy to be critical of these numbers. We find ourselves tallying up how the time spent on games could be spent reading books or developing other hobbies. 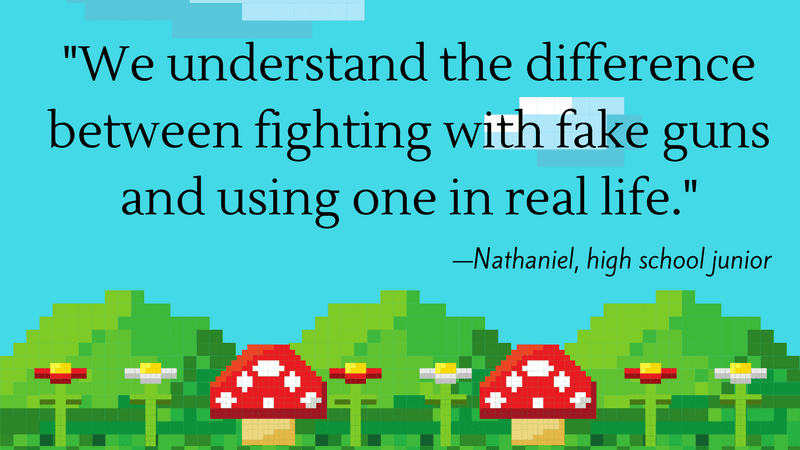 But our students have a different perspective—many feel like educators buy into our culture’s many video game myths. “I wish teachers knew that not all video games are useless,” says Kira, a fifth grader in Virginia who counts Animal Crossing, an open-ended simulation game, and Splatoon, a third-person shooter game, among her favorites. 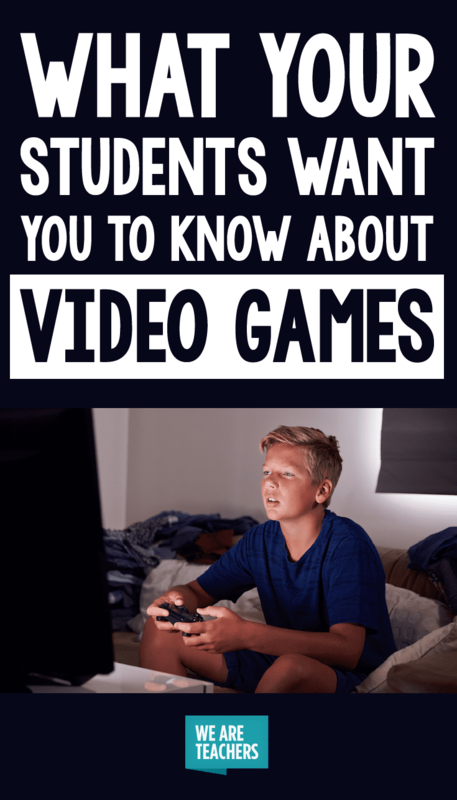 Indeed, the disconnect between learners’ and educators’ knowledge and understanding of video games could end up hurting our students. 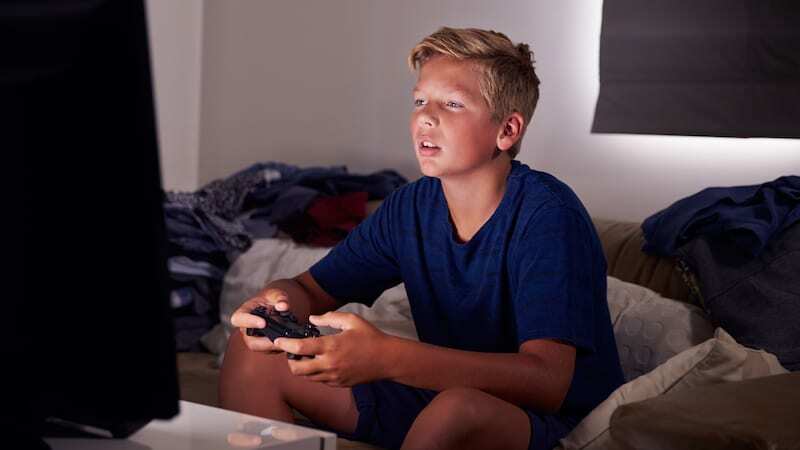 Adults who criticize gaming can create distance and disconnection, says Patrick Markey, author of Moral Combat: Why the Way on Violent Video Games in Wrong. We use them to unwind. “Games are a good way to escape reality. They give me a break from all the problems happening around me,” says Hector, a 17-year-old senior in California. Sure, it’s an avoidance strategy, but kids don’t have much control over the circumstances around them. Video games offer respite from problems such as poverty, family conflicts, and bullying. Some of the games your students play include a lot of history, geography, and mythology. Call of Duty: World War II draws details from the Battle of Normandy and the Holocaust. The Civilization series of video games helps players understand the components and structure of civilization, and games such as Roller Coaster Tycoon and John Deere American Farmer allow players to uncover the basics of good business. Six-year-old Max, a kindergartener in Iowa, is learning computer coding while playing Roblox. Students wish their teachers and schools would tap into the educational potential of gaming. 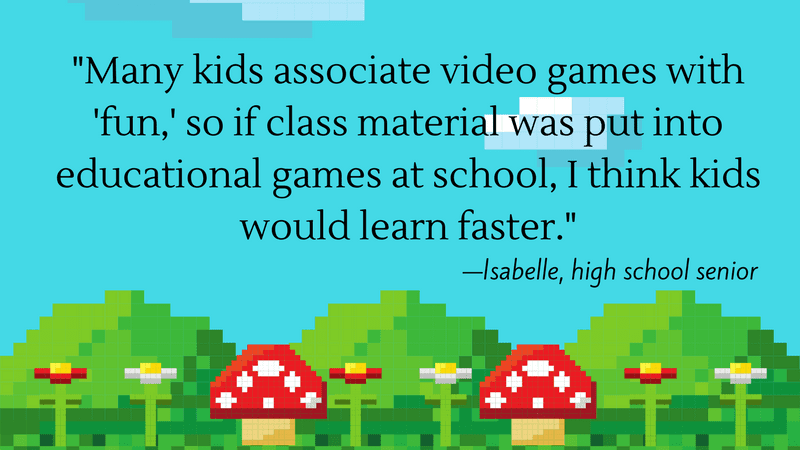 “Many kids associate video games with ‘fun,’ so if class material was put into educational games at school, I think kids would learn faster,” says Isabelle, a high school senior in Washington state. Gaming inspires real-world activity—but not violence. “We understand the difference between fighting with fake guns and using one in real life,” says Nathaniel, a California-based high school junior who likes to play Rainbow Six Seige and AER Memories of Old. Scientific evidence backs up Nathaniel’s assertion. One of the biggest video game myths is the link between first-person shooter games and school shootings. True, most school shooters are young men—who, as a population, play a lot of video games. But in fact, abstinence from video games is more closely correlated with school violence than video game play is. (Source: Moral Combat: Why the War on Violent Video Games is Wrong). The virtual worlds in gaming do inspire real-world action, though. “Video games inspire creativity,” says Isabelle, the Washington senior. “We see these worlds being created in the games we play, and we are moved to make our own as well.” She frequently draws video game characters. Her younger brother recreates video game scenes using plastic building blocks. Teachers may “think video games rot your brain,” says Ethan, a seventh grader in New York who enjoys Super Mario Odyssey and Super Smash Brothers. But a lot of games require strategic and out-of-the-box thinking. 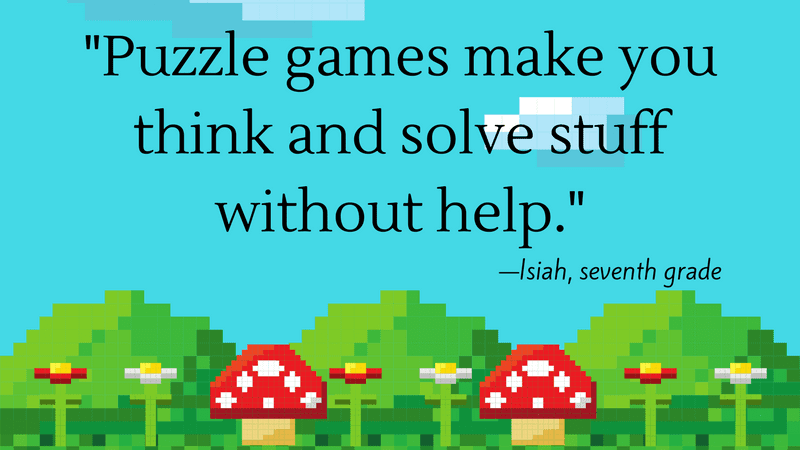 “Some puzzle games make you think and solve stuff without help,” says Isiah, a Virginia-based seventh grader who loves games that include “secrets” that players must discover. 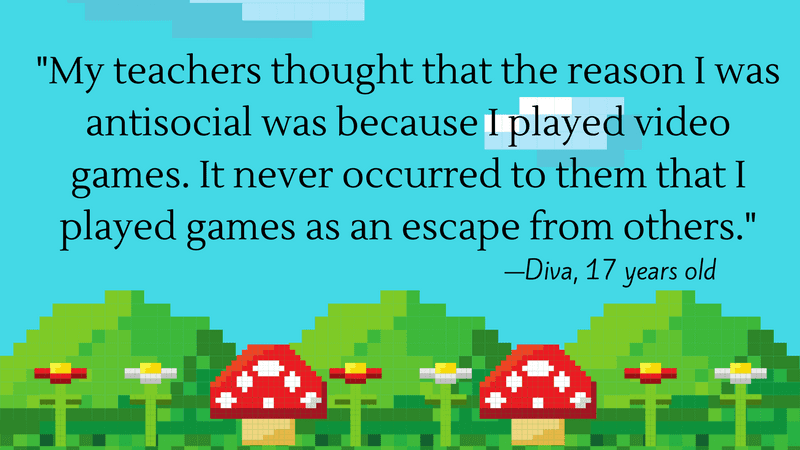 Such games teach students “to aim to see outside of what’s been given to [them],” Diva says. We connect with friends via video games. The stereotype of the solitary gamer is as antiquated as the Atari 2600. According to the Pew Research Trust, 83 percent of teens play with friends in the same room, and 36 percent have met a new friend while playing video games online. And that was before middle schoolers everywhere were connecting via headset to play Fortnite. What’s your take on video game myths and the time students spend playing games? Come and share in our WeAreTeachers Chat group on Facebook. Plus, why I use video games to teach math.